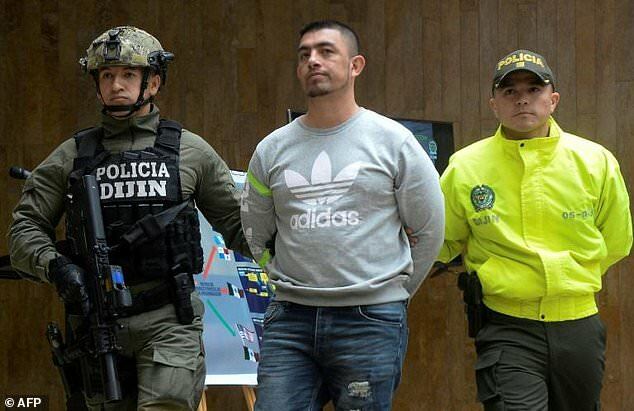 Drug kingpin Washington Prado, dubbed Ecuador's 'Pablo Escobar' who was under arrest in Colombia was extradited to the US early Saturday. Also known as "Gerard," he faces charges of moving more than 250 tonnes of Colombian cocaine from Ecuador's Pacific coast to Central America and beyond. Colombian authorities captured the 36-year-old Prado in April 2017 and held him in a maximum security prison in Bogota. Prado has also been linked to bribing and murdering prosecutors and investigators in Ecuador. Prado tried to avoid extradition by claiming to be an ex-guerrilla with the Revolutionary Armed Forces of Colombia (FARC).